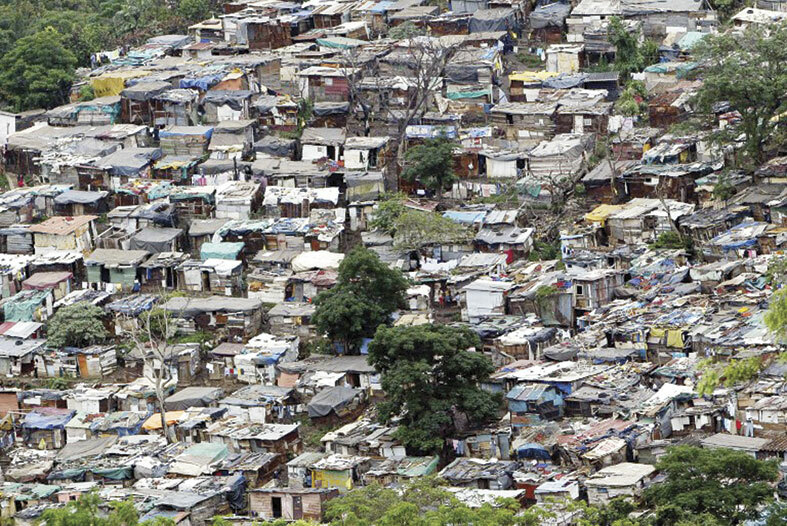 Residents in the Shallcross area have expressed their concerns over the increase of informal settlements in the area. They claim they are concerned about their safety and security and that of the shack dwellers as there is no proper hygiene services or sanitation in the settlements. Resident, Jack Rajpaul said he has no issues with the settlement dwellers, they have not posed any threats to him, however the unbearable smell coming from the settlements is becoming more and more of a problem each day. “Driving past on Link Road you can see the dirt that is just thrown on the road side, this gives off such an unbearable smell, it is obviously not hygienic for those that are living in there or the children”. A resident of the settlement who wishes to remain anonymous said, “We do not have much but this is all we have to give our children. We try and provide good education and upbringing to them so they can do better in their lives”. Another resident said, “We were promised government housing and till today we received nothing, I cannot say how angry I am. I look for work in and around the area all the time so I can provide for my wife and children”. A mother of three said, “My son who is now five-years-old is sick all the time, we cannot leave here because we have nowhere to go. This is our home and is all we know. My nine-month-old babies are always exposed to this smell and dirt which is becoming a health problem. Motorists who travel along the road on a daily basis also expressed their concerns, Dylan Govender said, “The animals on the road does cause a safety concern for us as we have to suddenly break at any given time to avoid colliding with them. The smell that you get on a hot day along the Link Road is very unpleasant and the situation at nights with no light is a grave safety concern with winter around the corner”. safe especially at night. “When I travel at night there is no street lights and I am unable to see if anyone is crossing the road which most of the time they are”. A comment from the municipality was still forthcoming at the time of going to print.